What could be cooler than director Shinichiro Watanabe (Cowboy Bebop, Kids on the Slope, Space Dandy, Samurai Champloo), composer Yoko Kanno (Cowboy Bebop, Macross Plus, Kids on the Slope), and character designer Kazuto Nakazawa (Samurai Champloo, House of Five Leaves, Kids on the Slope) coming together again for a new series? Well, nothing. Fuji TV unveiled their Summer 2014 programming plans during its Noitamina press event on March 21 in Japan. 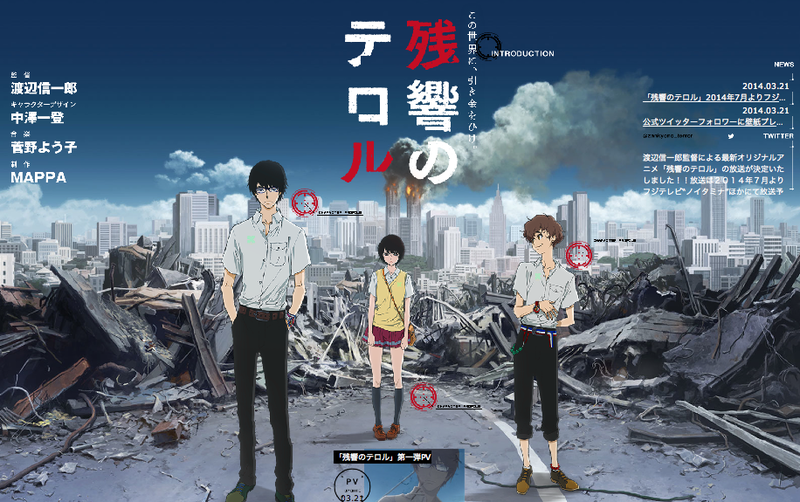 The latest series ready to rip the pants off anime fans is entitled Zankyō no Terror (Terror of Resonance) and will premiere during their Noitamina block in July. 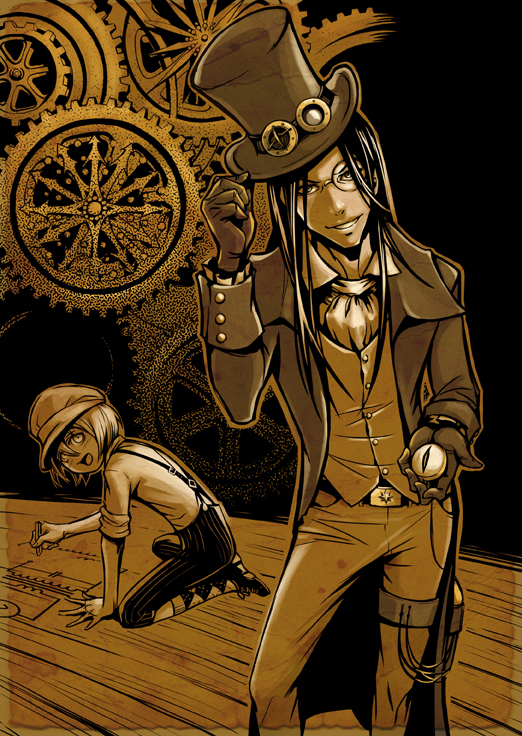 The Noitamina block of programming had previously aired hits such as Honey and Clover, Eden of East, Black Rock Shooter, Kids on the Slope, Paradise Kiss, and, more recently, Silver Spoon.